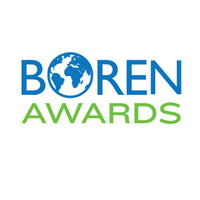 Come learn more about the study abroad Boren Scholarship for undergraduate students. This workshop will cover tips on the Boren application, including structuring your essays and the on-campus review process. If you are interested in a career with national security and studying a critical language abroad, this workshop is for you. The National Security Education Program (NSEP) / Boren scholarships are awarded to undergraduates studying abroad in world regions critical to U.S. interests. Preference is given to those pursuing studies of less commonly taught languages. Applicants must be U.S. citizens and selection is based on academic merit. The maximum award amount is $8,000 for summer, $10,000 for one semester, and $20,000 for a full academic year. Award recipients must fulfill a service requirement upon graduation, working for selected federal departments and agencies. Applicants are strongly encouraged to submit draft applications to Global Education Oregon for review at least one month prior to the UO deadline. For more information and application materials, visit the National Security Education Program (NSEP) / Boren scholarships website. Reach out to geoglobe@uoregon.edu for additional questions!